Located just east of Fairbanks Ranch and Rancho Santa Fe, Santaluz is known for its innovative design with special care taken to protect the natural beauty and character of the land itself. The homesites are often circular or irregular in shape, designed to blend in with and preserve the natural topography, and intended to evoke a rustic village reminiscent of "Early California". A gated community, Santaluz was named "Best Master-Planned Community in Southern California" by the Building Industry Association and received the Gold Nugget Award for "Best Land Plan" at the Pacific Coast Conference. Lying in the center of the development is an 11-acre village green, a gathering place for community events and summer concerts. Adjacent to the green, a 35,000-square-foot clubhouse and a 19,000-square-foot hacienda serve as the centerpiece for the community, and consist of a café, spa, gym, multi-purpose room, pool, tennis courts, and a private, championship golf course designed by Rees Jones. Builders include Baywood Homes, Centex Homes, Christopher Homes, DR Horton, Warmington and Taylor Woodrow Homes. Each builder has created individual styles from Early California hacienda style enclaves to spacious custom homes, ranging in size from 2,100 sq.ft. to well over 10,000 sq.ft. Rancho Bernardo is located immediately east of 4S Ranch, northwest of the city of Poway and south of Escondido. The topography of Rancho Bernardo consists of canyons and rolling hills. 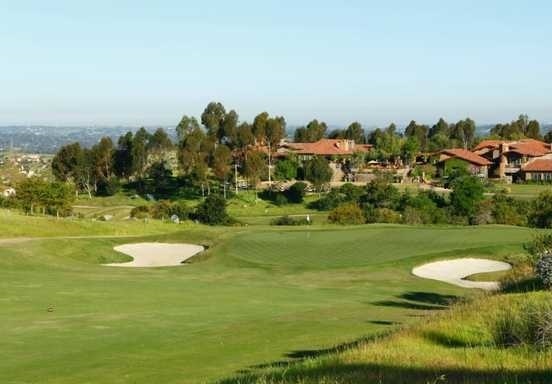 Rancho Bernardo was built as a master planned community that includes private parks and clubs for each neighborhood. It has many shopping malls, golf courses and office parks typical of San Diego development. There is an annual carnival-type street fair, RB Alive! during the summer and the city is home to the oldest operating winery in Southern California, the Bernardo Winery, which was founded in 1889.